Croatia is increasingly becoming a popular holiday destination with families and solo travellers alike. But what is it that is drawing ever growing numbers of Brits to this part of Europe? Read on to find out what the allure is. With over a thousand miles of coastline on the Adriatic and plenty of islands to visit, Croatia is a great sun and sea destination. It is easy to travel between these coastal areas in order to get a bit of variety. With crystal clear sea and picturesque coves, what more could you want? 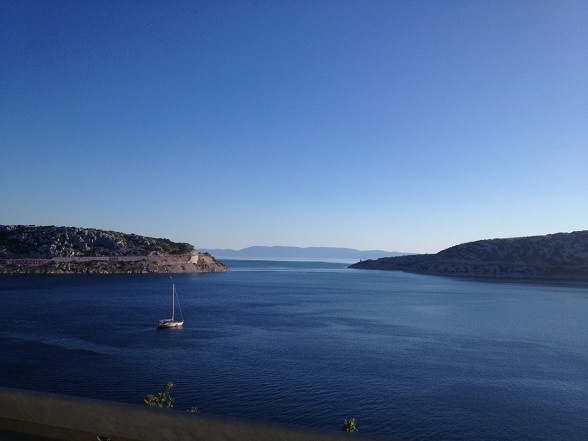 The sea helps to moderate temperatures in Croatia throughout the year, meaning that winters do not get too cold and summers are not excruciatingly hot. In the summer months Dubrovnik experiences minimums of 14 degrees Celsius and highs of 28. Two stunning places to visit in order to see the best of Croatia’s natural beauty are the Plitvice Lakes and the Krka National Park. The former is situated close to the border with Bosnia and Herzegovina with a backdrop of karst mountains. Here you will find 16 interconnected lakes of the most stunning turquoise colour that will take your breath away. It is a wonderful place to spend the day meandering through the countryside and enjoying the scenery. Meanwhile the Krka National Park also has a series of lakes and waterfalls, the most famous of which is Skradinski buk, where visitors can swim at its base. This is a great way to cool off after an afternoon walking on the park’s trails, so do not forget your swimwear. The towns and cities of Croatia are characterised through buildings created out of a pile stone that glows slightly yellow in the sun. Add to this the traditional terracotta roofs and many of these settlements look particularly picturesque. Approaching towns on the islands from the sea often gives a good first introduction to these places, where churches are usually the dominating feature. Nowhere is this view more apparent in Dubrovnik, with its incredible buildings and complete set of walls. The old town is often a highlight of many trips to Croatia and walking the entirety of its defences a must-do activity. From here you can look in towards the sea of terracotta tiles or out to the shimmering waves. Break up the walk with a drink at one of the bars set into the cliffs with a view of the Adriatic. Croatian food is very much influenced by its proximity to both the sea and Italy, which lies across the expanse of water. The former means that sardines, squid, lobster and shellfish are all in abundance along the coast. Make the most of this by sampling the catch of the day cooked up in the simplest way possible. From Italy, Croatia has developed a love of pasta and it is made fresh with an assortment of fillings and sauces. These often vary depending on which region you are visiting. Those spending time between more than one place will get the opportunity to taste the difference firsthand. Despite the lure of the coast, Croatia’s inland capital, Zagreb still has a lot to offer visitors. There are galleries and museums, top-class restaurants and buzzing bars. Impressive Austro-Hungarian buildings tower over wide squares, while beer halls quench the thirst of the masses. These are just a few great reasons why to visit Croatia, the list is endless! One Response to Why visit Croatia? Croatia has been on my list for awhile now. Great post, thanks for sharing!